Hwang Hana, the ex-fiancee of JYJ's Yoochun and the granddaughter of Namyang Dairy Products founder, is under fire for receiving 'special treatment' from the police. Recent reports revealed Hwang Hana was involved in drug-related crimes in 2015, however, there was no proper investigation conducted by the police. The issue became more problematic after a recorded audio file revealed Hwang Hana boasting about her family's connections to senior police officers. 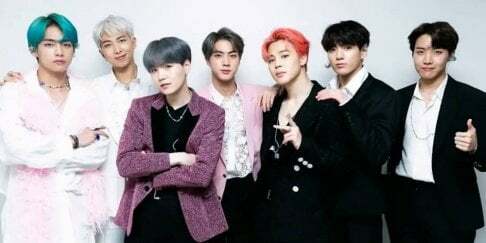 On April 3, a rep of Seoul Metropolitan Police Agency stated, "After analyzing the investigation history, it's been confirmed the police only summoned 2 out of the 7 who were booked without detention (for the drug allegations). Hwang Hana and the rest were not investigated." The police that was in charge of Hwang Hana's case at the time claimed, "The investigation got delayed because we were busy controlling the strike by the Korean Confederation of Trade Union in 2015." Hwang Hana is accused of distributing and injecting 0.5g of Philopon with a peer identified as 'A' at Gangnam in September 2015. Hwang Hana was announced innocent in June 2017, while A was given 2 years of 6 months of penal servitude with 3 years of probation. Too busy = having lots of $$$ shoved up their a$$ in order to "forget" about a case or situation. Police corruption at its finest.